As two super frugal people, we completely understand not wanting to give away your hard-earned money. We view our AC Crew portal as a membership platform. Once you become part of the crew you are given a password that gives you access to our live chats, in-person meet-ups, educational long format video courses we crafted ourselves, info for a more hands-on financial plan from us, rewards from our sponsors, live location tracker plus so much more. Simply put, if you want more than our YouTube episodes and blog posts, join the crew. Before we go into more ways about how you can say thanks for the info we are providing, here's the honest truth about being a small scale YouTube "Creator". Google, who owns YouTube, could careless about sharing its advertising revenues with its creators. Our earnings for our best 6 months, where we grew from 5,000 subscribers to 50,000 subscribers. As viewers, we never really understood the need for Patreon or why "e-begging" was so prevalent. We assumed creators made plenty of money through ads on YouTube or other social media. Now as creators we understand. We spend roughly 50hrs a week only editing episodes, and if it wasn't for our Patrons, we'd earn roughly $125 a week, $2.50 per hour. As viewers, if we had known how little our favorite creators were making, we definitely would've given them $1 an episode. And you guys know how cheap we are. 🙂 We think this is just a huge misunderstanding between viewers and creators due to a greedy middleman, Google. Now you may think $1 an episode won't amount to much but we can't even begin tell you how excited we both get when we see a $1 pledge. If only 5% of our subscribers pledged $1 an episode or subscribed to $5 a month, we'd never have to even consider having sponsored content, doing clickbait or pursuing other jobs to keep AC alive. And not to mention, our production quality would skyrocket. Can you say drone, weekly live events and all-inclusive trips for you to win via our rewards dashboard to join us onboard? 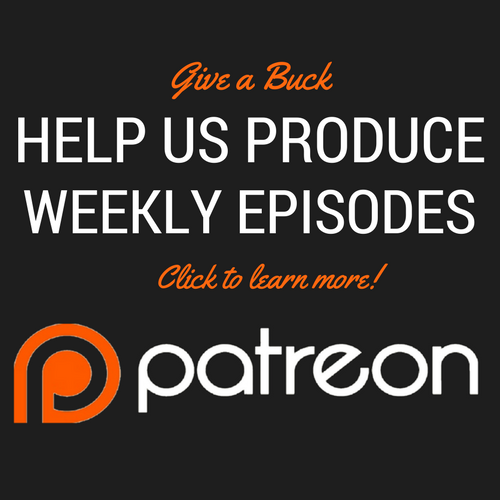 So if you find value in our series, please consider supporting our production via Patreon or see below for a monthly subscription through PayPal to avoid using Patreon. Thank you in advance for your generosity and consideration of supporting our films. YOU make sharing our dream possible. If you aren't interested in becoming a Patron or Subscriber, please consider clicking below to send us a one-time donation!